Instructions are provided for 6 different games and they have lots more uses in the classroom that teachers will inevitably come up with themselves. 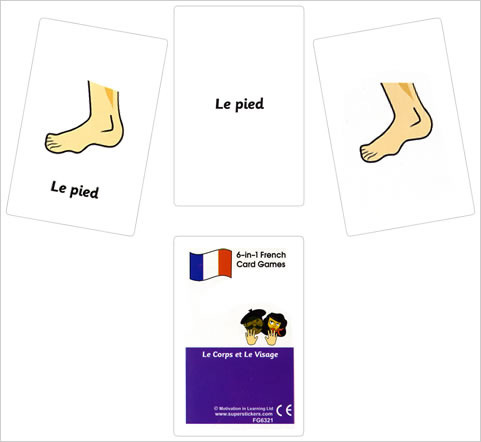 This pack teaches French vocabulary for the body and the face. 6-in-1 French card games are suitable for all levels, including beginners. Full instructions are included. Suitable for ages 6+ - ideal for KS1, KS2 and KS3.